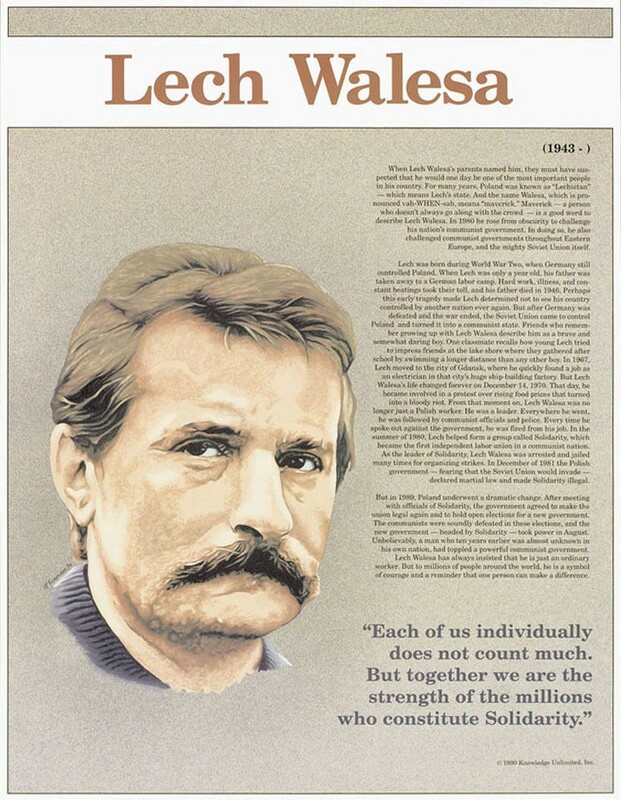 This educational poster features a striking image of Lech Walesa, along with biographical text, and a quote from him saying: "Each of us individually does not count much. But together we are the strength of millions who constitute Solidarity." 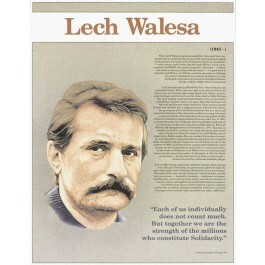 Lech Walesa rose from obscurity in his native Poland to help form a group called Solidarity, the first independent labor union in a communist nation. In doing so he challenged his country's repressive regime and helped to topple the communist government. In 1990, Walesa became the president of Poland. This poster is a great way to introduce students to one of the true heroes of the 20th century, whose bravery made him a symbol of courage and freedom around the world..